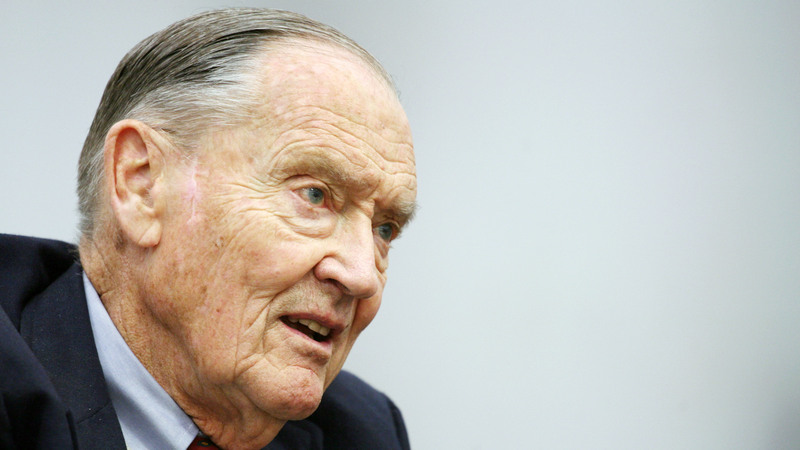 Jack Bogle, the founder of Vanguard who created the first index mutual fund for individual investors in 1975, died Wednesday at the age of 89, the company said. Bogle started a revolution in the way people invest. He believed that investors should own a mix of bonds and stocks but shouldn't pay investment managers to pick them. So he had the idea of letting investors buy an index that represented the entire stock market, instead of individual companies. That's why among the most popular investments now are low-cost funds that represent the S&P 500 index of the largest American companies. Bogle admitted that owning corporate America and hanging on to it is a pretty dull investment strategy. "It is boring!" he said. "It is the most boring investment strategy ever invented in the history of time." Perhaps his greatest legacy was his push for super-low-cost investments. When everyone is investing in largely the same thing in their 401(k) retirement plans, the difference in returns often comes down to the fees paid. "Cost turns out to be everything," he said. "It's just what I've often called the 'relentless rules of humble arithmetic.' "
He was also a believer in keeping your money in the market for the long term, while being aware of risks in the short term. "If you're in your 20s and you're going to be investing for the next 50 or 60 years, it's an excellent long-term bet," he said in an NPR interview in 2013. [But] in any given year? The market can drop 50 percent. I've seen now three of those 50 percent drops. They're all scary. At the bottom, you think they're going to last forever. But they don't." And in times of crisis, when the market does plunge, Bogle had this advice during the 2008 financial meltdown: Just hang in there. Don't even look, and don't change anything. "Times of market panic or extreme market conditions are usually terrible times to make fundamental investment decisions," he said.